Writing about bankruptcy, Ernest Hemingway famously penned that it happened "gradually and then suddenly". The Zupta empire led by Godfather Jacob and Dons Ajay, Atul, Tony and Duduzane, are experiencing that right now. They may not be bankrupt (yet), but their criminal syndicate is quickly imploding as the Nasrec winds of change sweep over the country. Less than 24 hours after the governing ANC recalled its cadre, Jacob Zuma, as president of South Africa, the police's elite crime-fighting unit, the Hawks, swooped on the Guptas and their associates. 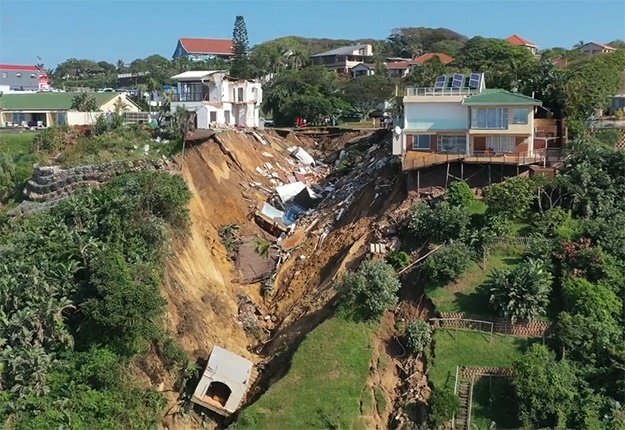 Less than two months after Cyril Ramaphosa took over the presidency of the ANC, the state looks like it is functioning again. Zuma won't be president of the country much longer and by this time next year, they will all be in prison or facing charges of racketeering, corruption, money-laundering and fraud. Let there be no doubt that Zuma sr. was the Godfather in this criminal arrangement. 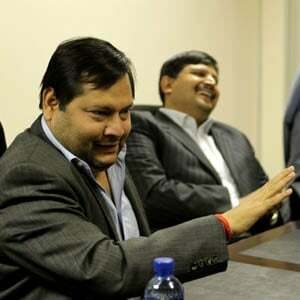 None of the plundering at state-owned enterprises would have been possible if he didn't enable it through appointing pliable ministers who could assist the Guptas in their looting. Yes, Zuma will have to explain to a judge why he called Thembo Maseko and told him to spend government's communications budget on the Guptas' loss-making newspaper, or why he appointed Mosebenzi Zwane as mining minister after being given his CV by Duduzane Zuma, who received it from his business partner, Tony Gupta. A "national takedown" of the bosses and beneficiaries of the Zupta empire is underway and it will all be exposed at the Zondo Commission into state capture and in a series of trials over the next few years. We need this moment of cleansing – the chickens are coming home to roost. Although it is justified to experience a feeling of judicial delirium and imagine Jacob, Duduzane, Ajay, Tony and Atul lined up next to each other in the dock, joined by suits from the racket's corporate accomplices, we should be cautious not to miss the obvious flaw in our system that enabled all of this to happen. Why was it necessary for a new ANC president to be elected for the rot to stop? Why didn't the Hawks and the National Prosecuting Authority pounce on the Zuptas years ago when people like Maseko, Mcebisi Jonas, Vytjie Mentor, Barbara Hogan and others started to expose the heart of state capture? How do we strengthen our institutions of democracy to a point where they are not influenced by intra-party upheaval and trauma? How do we strengthen Parliament to effectively keep the executive to account and to take action against a delinquent president when there is abundant proof that he is no longer governing for, but against the people? And finally, how does the ANC ensure that it never, ever again hands over the reins of power to a compromised, corrupt person like Zuma? If we don't ponder these questions, the euphoria of the Zupta takedown will be short-lived and of little value for generations to come.